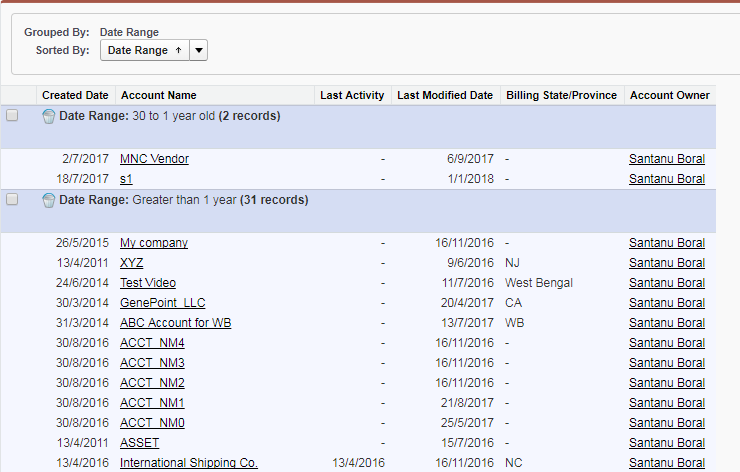 Business has a requirement to display list of accounts created within specified range of days like, 30 days or within a year and wants to show the report like this way. This type of use case is also applicable for meeting SLA purpose, like what are the list of cases solved within 24 hours or 48 hours. This use case can be solved with the use of Summary Report with Bucket fields. 1. 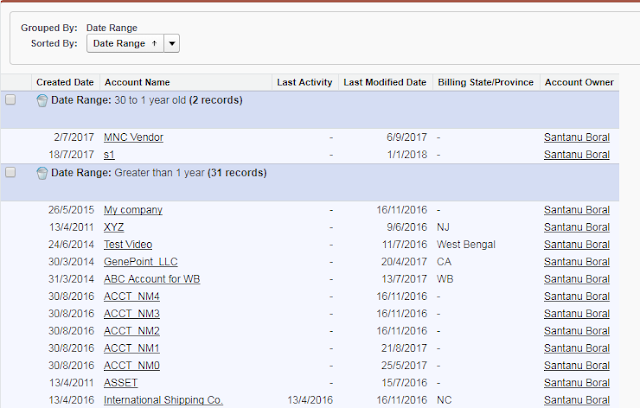 Create a formula field like Day Diff as Number which will calculate number of days from CreatedDate. 2. Go to Report and define Bucket field as follows. Here I have tried to define based on the data at my DE. 3. 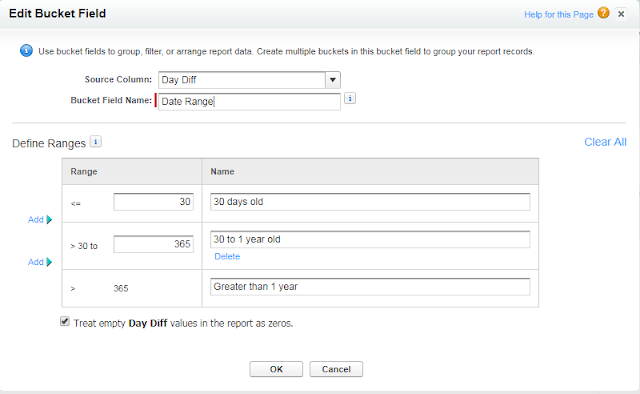 Now change the report type as Summary Report and place that bucket field for grouping and finally run the report. It will look like this. This is a convenient way we can plot a report based on bucket fields. Answering this question in stackexchange is my motivation of writing this post.